Home/ Bundle Deals/Las Vegas Bachelorette Party! Sin City was made for bachelorette parties. Ladies, here’s an experience you’re sure to remember. Start with one of the most unique Las Vegas shooting packages we have that includes firing our pink M4 and .308 Sniper, and finish up with your free admission to Thunder from Down Under, Vegas’ best all-male strip show. It’ll be a Vegas trip full of hard steel, ladies! Call us at +1 (800) 757-4668 to upgrade to our VIP package! Before a happy couple ties the knot, they’re each awarded one last night of freedom. You may think that the husbands-to-be are the only ones having a good time, but women are just better at keeping it secret. No, they’re not at home, painting their toenails and gossiping on the landline with their girlfriends. They’re not watching their favorite Nicholas Sparks movie and sighing at their fiancés absence. They’re having the time of their lives with one of MGV’s Las Vegas bachelorette party gun range packages. That’s right; what happens in Vegas, stays in Vegas, and here at Machine Guns Vegas, we know what ladies like—an experience they’ll never forget. At Machine Guns Vegas, our Las Vegas bachelorette party gun range packages will leave your body quaking and every inch of your being yearning for more. At our gun range, we’re not going to equip you with a pocket-sized pistol. We know that, in situations like these, size matters. We’re breaking out the big guns. Once you get your hands around some real firepower, you’ll be ready to take your place on the throne and show our indoor gun range who’s boss. With our Las Vegas bachelorette party gun range packages, you’ll get to unchain your inner badass with our .308 sniper and our pink M4. Yes, you heard us right—we said our pink M4. When a lady wants it her way, around here, we do as she pleases. Before you get down to business, our experienced personnel will show you how to handle and shoot your weapon properly, as well as answer any questions. To start off, our pink M4 is a lightweight submachine gun that will make any lady feel like a true femme fatale. Next up, we have a .308 sniper rifle. Don’t be shy, we can teach you to aim like a pro. Boys shouldn’t have all the fun. Get in on the action. Your new talent is sure to keep them on their toes. With each of our Las Vegas bachelorette party gun range packages, the fun isn’t over once your targets are riddled with holes. We know how to finish a bachelorette party strong: with a little Thunder From Down Under. By having your bachelorette party at Machine Guns Vegas, you’ll be granted general admission to the best all-male strip show in Vegas. What better way to finish the night off than by drooling at Vegas’s sexiest Aussies, as they slide their way across the Excalibur stage? What are you waiting for? If you’re special day is drawing near, let us show you the time of your life at Machine Guns Vegas. 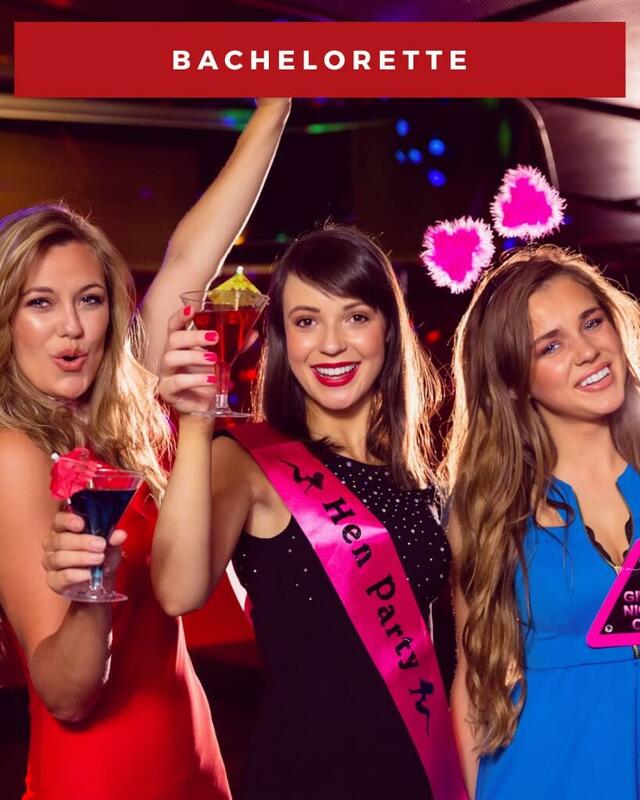 Call +1 (800) 757-4668 today to make a reservation for one of our Las Vegas bachelorette party gun range packages. You’ll also receive free transportation to and from our facility, and a special VIP offer. Is there transportation to Excalibur? No, but they have a free TRAM on the west side of the strip that runs until 5 am. Can our group sit together? Yes. The show is general admission, but we can arrange for the host to seat your group together. There is also a VIP upgrade available for an additional $22 per person. What guns do I shoot in the Bachelorette Party package? You’ll shoot the pink M4 and the .308 Sniper. Took my sister and our friends here as part of her bachelorette getaway it was a blast! Broad assortment of guns to choose from and the photo opp was cool! Hilarious night… Hens party was a success!